Friday on a pop culture and entertainment show here in sunny Florida called River City Live TV I shared some of my signature beauty secrets from the kitchen or your own backyard. I thought you would enjoy them! Make a facial steam bath…to open up your pores and sweat! Your skin will love it. Make a pot of tea water…fill a glass bowl with some of that hot water.Rub herbs in palm of your hand a bit.Place sprigs of rosemary OR fresh spearmint inside the bowl of steamy water. Allow time for it to float and infuse the aromatics from the herb. You can also try this D.I.Y. with other fresh herbs from your fridge or garden. Place your face near the bowl and let the steam (not water) hit your face.Do this for at least 5 minutes. Rinse your face well and use your fav’ face toner and a light moisturizer next. In a pinch and don’t have any facial scrub at home? Try using cornmeal from your pantry! Take a spoonful and place in a little dish. Add some water. Make a little liquid grain like paste. Apply on a clean face and work in gentle circular motions. Stay away from your eyes and lips. Leave on for a couple of minutes and rub again gently. I like to do this on my T-zone. Rinse well and follow up with your facial toner.This is not only great for the pores but also great for dry flaky skin as a natural exfoliant. A kitchen rolling pin isn’t just for baking darlings…Get it out and have your sweetie release the stress on your back and or back of legs. Use with gentle strokes.It really does wonders. Use a dash of olive or sunflower oil for some massage oil slip (like massage therapists use). I like it better than on dry skin. When you can’t see your massage therapist this works! Roses aren’t just good to decorate your house with they also make a floral delight for your eyes. In place of cucumbers a rose petal has soft hydrating properties. They say ancient Chinese royalty loved to do this. I prefer organic roses. All you do is take a petal and place one on each side. Rest your eyes and listen to some music or enjoy the quiet in the room.Now, remove the petals and enjoy softer skin. I LOVE making fruit or vegetable infused water.…and drink it all day. Better than coffee or sodas and they quench your thirst and make your skin happy too. On TV I showed the viewers how to make a personal bottle of this water. I found an adorable glass with a straw built in and keep it on my desk or work area. ANOTHER version simply add wedges of oranges. Allow them to set in pitcher for at least an hour or more. This lets the above make love together and makes the water taste great. Enjoy! *Drink at room temperature. That’s what a lot of doctors say is best to do. Not ice cold. Remember my philosophy is not all things have to come from a store…making it yourself is fun and kinda therapeutic. I hope you’ll let me know of any ideas or recipes you like to do too! I LOVE hearing from you. I wish the readers of my blog today and followers too a fabulous and yummy Thanksgiving day. I am happy to have you in my life in some small way. I am thankful I opened my eyes and woke up today.It was even sweeter when I heard the glorious Star-spangled banner anthem outside my window. Today they amped up the volume but it was still beautiful.I live near a naval base. I am happy I was born and raised in America and happy it is my home. I am thankful for my lovely family. And darling funny husband. I only wish my twin brother,mom and dad were here to share my days with me.Gosh how I miss them!!! I am thankful for ALL the little things in life that can bring us so much joy. The sun,the moon,the stars the smell of fresh cut grass and more. I am thankful for a roof over my head and food on the table. I am thankful for bakers and chefs not only for making healthier fresh bread but dessert…yes I have a major sweet tooth! I am thankful for the farmer I am an avid foodie and so love supporting them and eating fresh fruit and vegetables. I am thankful for fuel for hot baths and warm showers. Especially with a bit of bubbly like a bubble bath. I m thankful for music which fills my ear with joy. I am thankful for the person who invented LIPSTICK! They were brilliant! A swipe of color goes a long way! I am thankful for fuel to jet around town and jet around on a flight to all the amazing places I get to go for my work and to play. I am thankful for all I have learned in life and can’t wait to learn more! AND…I thank MACY’S for bringing me back home even if it is on the TV screen.LOVE the Macy’s Thanksgiving day parade! The 90th year. A true miracle on 34th street where I used to work! #theresnoplacelikehome Give THANKS…Not just for today but tomorrow and always! Have a yummy and beautiful thanksgiving day everyone ! I love this creamy D.I.Y. face and neck mask and the way my skin feels after it! Good to try after a day in the sun or for anti-aging dry skin. Stir these all together dahling! Double duty beauty…Tighten and soften your skin with a mix of these in a bowl. Apply on a clean face and leave on at least 10 minutes. Your skin will be hydrated and look amazing. My mantra is…Take care of your skin and it will take care of you. A kitchen & on the go MUST HAVE! I first saw this brand and awesome bottle on one of my fave TV shows Shark Tank and on Good Morning America! A 17- year- old year old Carter Kostler from Virginia Beach,Virginia has taken childhood obesity head on. After learning about the startling statistics of how sugary drinks and soda impact today’s youth,he decided to do something about it. Carter created a fruit infused water bottle,a product designed with the goal of improving one’s health. He and it was even featured in Entrepreneur magazine as one of the most brilliant companies list. He works with schools in his community and organizations for a healthier generation. I am in love with this water bottle system and fruits and veggies I use don’t hit my lips and ruin my lipstick! THAT makes it even more awesome. Eat your Apples and Wear them too! I do! I LOVE TO EAT APPLES! You should too! Here are my DIY recipes to enjoy more of them too. It is Fall and apple season. ALL you need is an apple! Apply the mask all over the face (except your eye area) and keep for 20 minutes for the skin to soak it all in and absorb it’s beautiful benefits.· Rinse your face with warm water. *If you’d like to plump it up add a few tablespoons of glycerin.Mix with apple and you have another mask. · Mix two tablespoons of crushed oats along (not instant oatmeal) with pureed or grated red apples and add teaspoon of honey. · Apply the mask on your face for 20 minutes, and wash it with warm water. · Apply your favorite moisturizer and eye gel. · The oatmeal in this mixture exfoliates your skin while the apple and honey make it hydrated, plump and glowing! 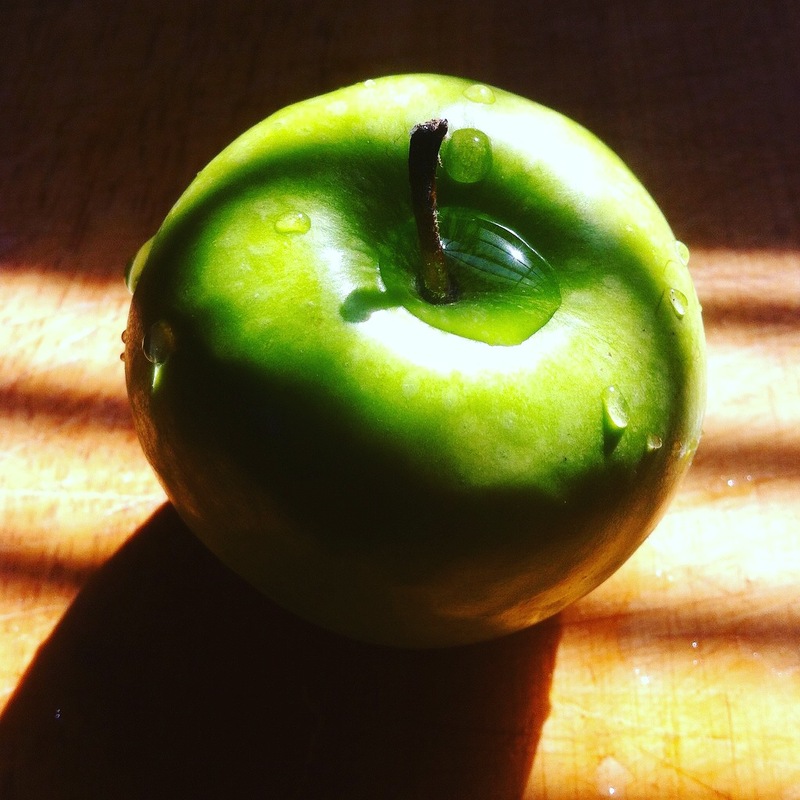 You know what they say …“An apple a day keeps a doctor away”. This beautiful fruit is rich in vitamin C, vitamin A and copper, which your skin LOVES! The vitamin C helps to re-store the collagen content of the skin. Collagen adds the elasticity to the skin, thus helps to kiss wrinkles “Goodbye” The copper content in the apple helps to maintain the melanin production in the skin. Apples act as a natural sunscreen. The vitamin A assists in building of new skin cells. Got any left over pieces of apple? EAT them. Enjoy the beauty of all the fruits and vegetables of fall.